Director: Alexander Payne. 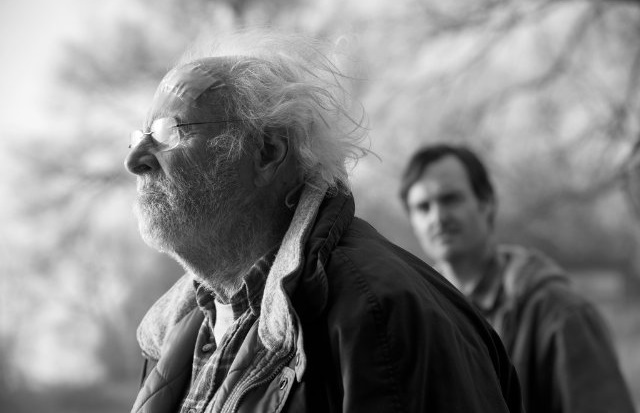 Cast: Bruce Dern, Will Forte, June Squibb, Stacy Keach, Bob Odenkirk, Mary Louise Wilson, Rance Howard, Tim Driscoll, Devin Ratray, Angela McEwan, Kevin Kunkel, Dennis McCoig, Ronald Vosta, Gelndora Stitt, Elizabeth Moore, Ray Stevens, Lois Nemec, Neal Freudenburg, Eula Freudenburg, Melinda Simonsen. Screenplay: Bob Nelson. Twitter Capsule: Payne still loves: empty images, banal music, using one character as bellwether of Reason and ranking others in relation.